Well considering the “toast” is sort of a vital component of French toast, I figured I would have to come up with something else. 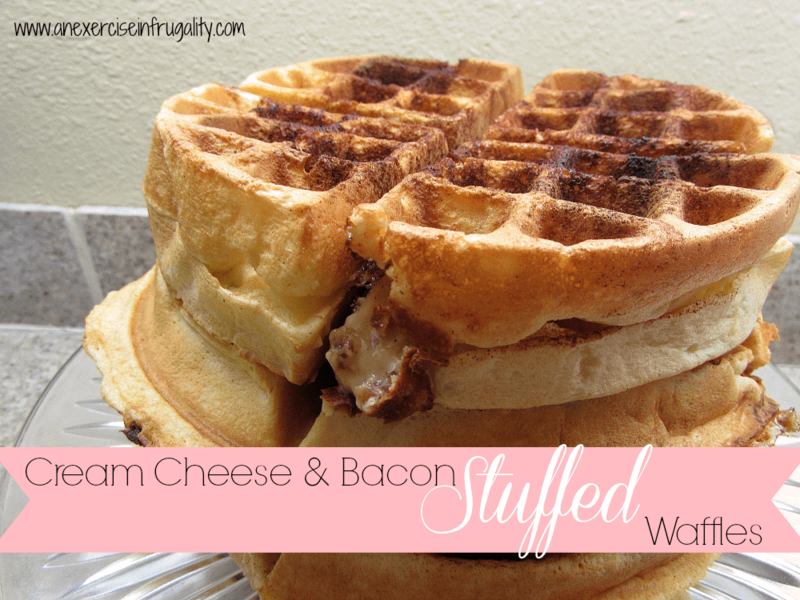 I had seen stuffed waffles before but wasn’t sure exactly how to go about making them. I did a little research and found out that its simpler than I originally anticipated. What follows is the joyous finale: a towering, fluffy, decadent experience. They are not low-fat. They are not gluten-free, Paleo, clean eating, low-carb or “diet” in any sense of the word. But they are rich and sweet and salty and delicious. So if you’re gonna splurge, you might as well do it right! In all seriousness though, you could use skim milk, fat-free cream cheese and turkey-bacon to make recipe a little less naughty. But what’s the fun in that? In a large bowl, mix flour, baking powder and milk. In a separate bowl, beat the egg whites until stiff peaks form, then gently fold into batter. Mix softened cream cheese with crumbled bacon. If you would like your filling to be sweet, you can add the brown sugar and/or the maple syrup, or you can omit these for a savory filling. Pour 1/2 cup waffle batter into the center of the iron, place a heaping tablespoon (or two) of filling immediately into the center of the batter, and pour another 1/2 cup of batter directly over it, making sure to cover the filling. If you chose to top with cinnamon/sugar, sprinkle a couple teaspoons over the top of the batter before closing the lid. Bake according to manufacturer's directions. Serve hot with syrup, powdered sugar or plain! My waffle iron does round waffles in quadrants. If you wanted to serve these for brunch without filling everyone up before they try everything else, you could break these waffles into quadrants and serve them that way too. Looking for more great things to make in a waffle iron? 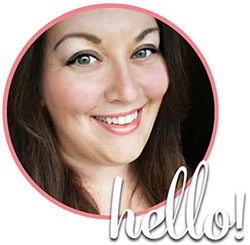 Check out my post, Beyond the Belgians for tons of great non-waffle recipes you can make in your waffle iron! 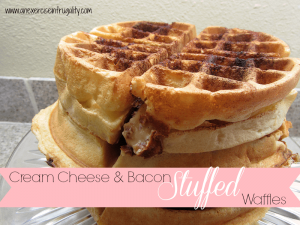 What do you think of these Cream Cheese and Bacon Stuffed Waffles?